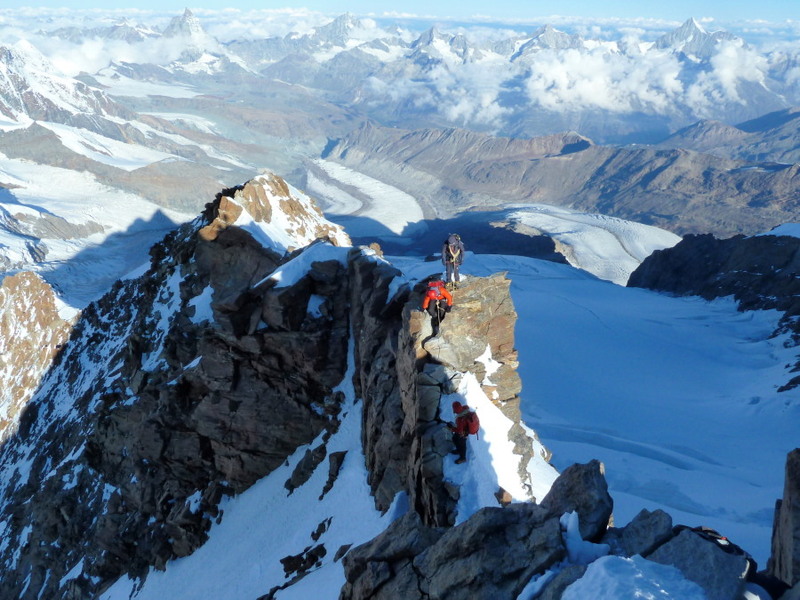 Climb the Dufourspitze on Monte Rosa, Switzerland's highest mountain and 2nd highest in the Alps (4634m) after training and preparation climbs in the Arolla valley. The Dufourspitze is a long climb with an exciting mixed ridge to finish, a little harder technically than Mont Blanc and far less crowded. Alternative objectives if weather is unsettled include the Nadelhorn (4327m) or Rimpfischhorn (4199m). The Zermatt valley has a wealth of 4000m peaks with rich historic association and excellent access. 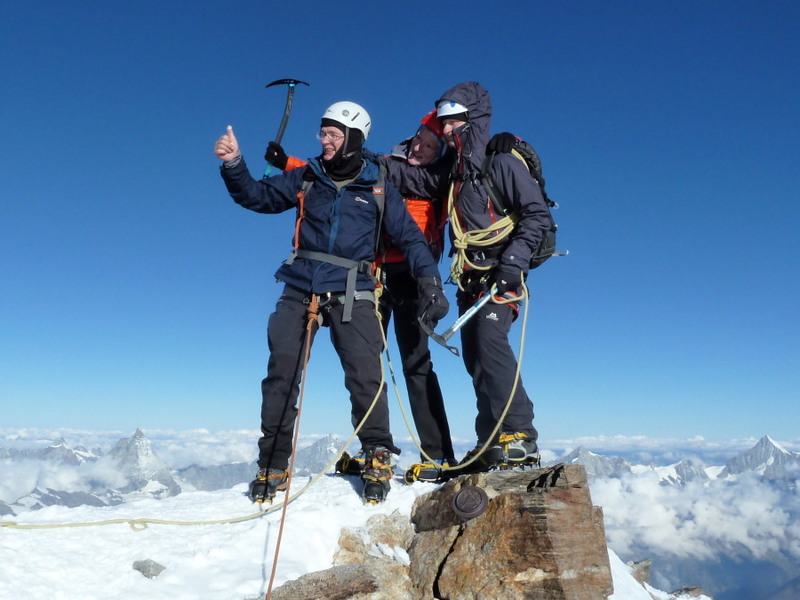 Technical standard PD and PD+ with a short section of AD- on the Dufourspitze. 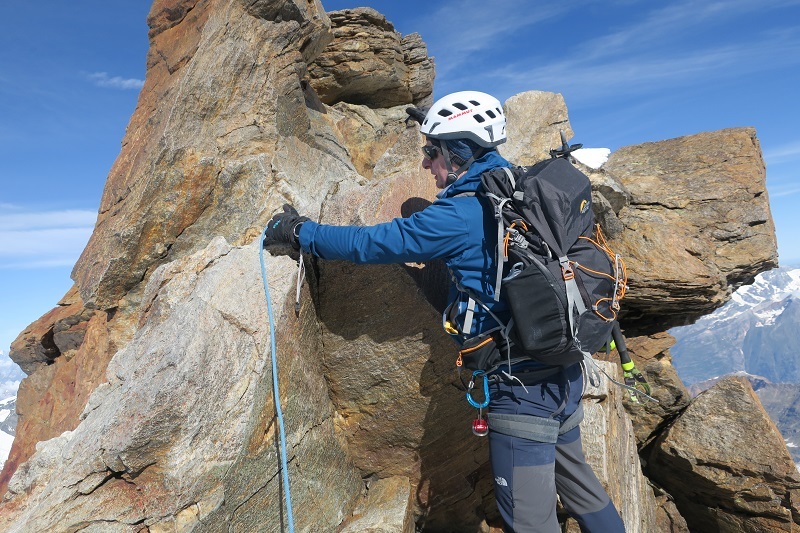 This course requires a higher fitness level than Introduction to Alpine Climbing and we recommend that all participants come out to the Alps for a couple of days before the course to begin their acclimatisation. Sunday: Walk in to Dix hut (2928m) via Pas de Chevres ladders. Possible rocky ridge route on the way. Coaching in snowcraft and alpine ropework in the afternoon. 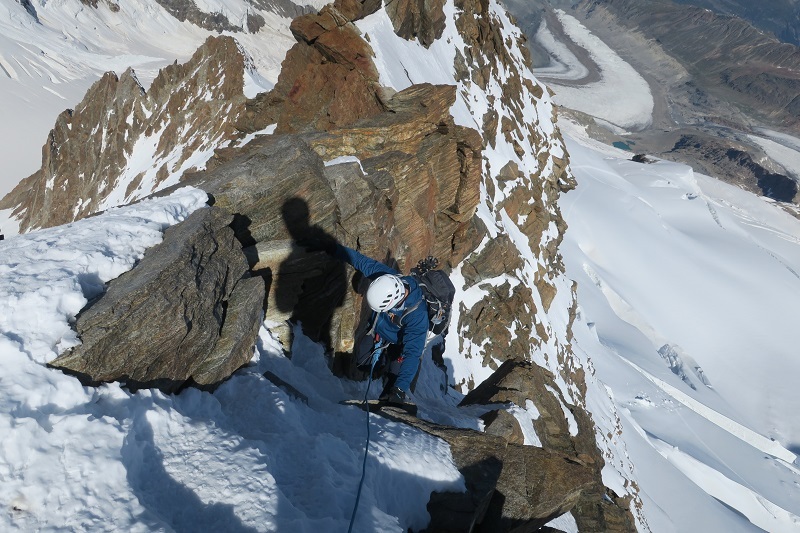 Monday: Traverse Pigne d'Arolla (3790m) with glacier training en route - crampon skills, ice climbing, crevasse rescue then overnight in the Vignette hut (3158m). Tuesday: Ascend L'Eveque (PD - 3,716m). Return to Arolla via Col de Vignettes. In event of unsettled weather a fit party could delay the Dufourspitze until Friday and return to the valley the same day. "To say we had a great time is an understatement, all of our objectives were achieved and exceeded. Graham and Paul were the perfect guides, giving us the confidence in everything we did, offering advice and encouragement where needed and all with a great sense of humour. We loved your valley and we are already discussing which hills we would like to do next!" Steven, Steve and Andrew, Sept 2015. For information on accommodation and what's included in our Swiss Alpine Mountaineering Course prices click here.